Like many women, I enjoy being pampered at the salon. But since the thought of going to a salon in Paris was more terrifying than relaxing, I found myself doing one home manicure after another with the same sloppy results each time. When I could not handle my imperfect polishing skills any longer, I finally braved a salon to get the classic French manicure. Not wanting to embarrass myself beyond my already bitten and chewed nails, I spoke with a true Parisian woman (with a beautiful red manicure nonetheless!) to prepare myself for my first salon visit. In addition to teaching me basic nail vocabulary, she shared simple phrases to communicate with the nail technician. Unwilling to pay top euro, I avoided chain salons and beauty institutes, instead searching for “mom and pop” shops with lower prices. The average price of a manicure at a full service beauty salon is between 25 and 50 euros. At a no-frills nail salon that price is cut drastically! For around 12 euros or less you can get a quick polish change and have ring-ready fingers in no time. But even for luxury enthusiasts, 12 euros may be too much (especially if you’re blessed with a steady hand and eye for color). In Paris, like everywhere else, the cheapest and most convenient manicure is still the one give yourself. You can buy topcoat, polish, nail files, and polish remover at Sephora for a little less than 20 euros. Splurge a bit and you can find an all-in-one kit and have a French manicure at your fingertips whenever you please. Beauty Monop and Marionnaud also offer similarly priced products for creating a nail salon at home. 1) Visit Qype to search for Paris nail salons by neighborhood and price. 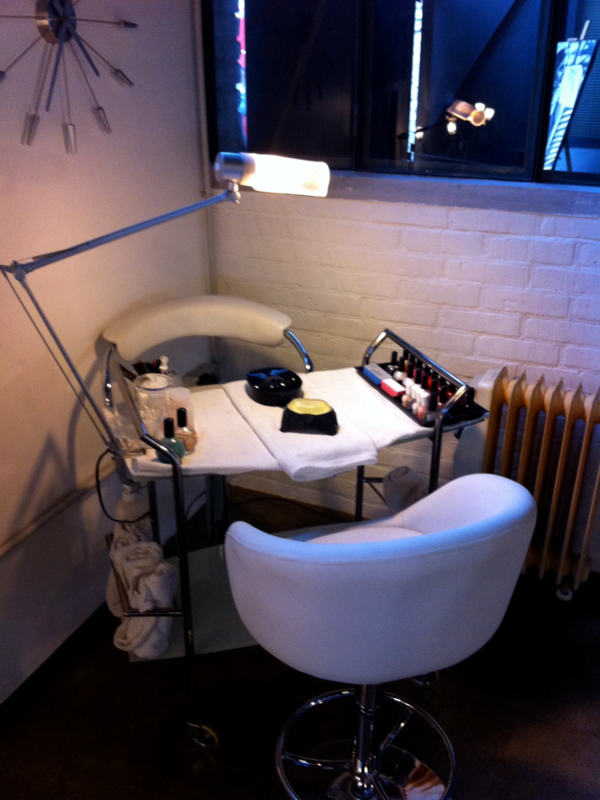 2) Visit Manucure & Beaute to find American-style nail salons in and around Paris. Je voudrais une manucure. I would like a manicure. Je voudrais une French manucure. I would like a French manicure. Je voudrais un changement de vernis. I would like a polish change. Je voudrais des faux ongles. I would like a set of fake nails.